Roma ended a run of five games without victory against their near-neighbours with a 2-0 home win last season, and went on to claim a goalless draw in the return fixture. The league leaders threw three points away on their return from the mid-season break on Tuesday as Inter came from behind to earn a 1-1 draw. Carlos Tevez fired Juve in front after five minutes but they were unable to hold onto the win as Mauro Icardi secured a point, much to the frustration of Allegri. The Switzerland international completed his switch to San Siro from German champions Bayern Munich on a four-and-a-half year contract on Friday. Shaqiri has not featured in competitive action since December 16, though, due to the Bundesliga's mid-season break. And head coach Mancini will only use the winger sparingly against Genoa. Parma coach Roberto Donadoni hailed his side’s ‘battling spirit’ as they broke a four-game winless run with a 1-0 victory over Napoli. Donadoni said prior to the match that his side were ‘in a state of emergency’ but also conceded their recent woes could bring out the best in his men. Milan vice-president Adriano Galliani has confirmed that he will resign from the club. The 69-year-old finally brought an end to speculation over his future when he announced his decision to step away from the San Siro outfit on Friday, with his departure set to bring to an end his 27-year stay at the helm of the Italian giants. Carlos Tevez opted for a three-year deal with Juventus over the likes of AC Milan and Monaco, as the Argentinian ended his time with Manchester City. The 29-year-old striker could eventually cost Juve £12million, with his representative, Kia Joorabchian, saying that his client is keen to try and help the Italian giants challenge for European glory in the coming seasons. Joorabchian told the Corriere dello Sport: "Carlitos wanted to join Juventus. Inter ended a five-match winless streak in Serie A on Monday with a 2-0 win at Chievo, with captain Ranocchia netting the second after Mateo Kovacic had opened the scoring. Toni: World Cup? Why not? Verona striker Luca Toni claimed he is in good enough form to play at the World Cup for Italy after scoring the winner against Chievo. Toni notched his 16th goal of the Serie A season on Saturday as Verona won the Derby della Scala 1-0 against local rivals Chievo, with the 36-year-old striker sitting behind only Carlos Tevez of Juventus (18 goals) and Torino’s Ciro Immobile (17) in the goal-scoring charts. There is a midweek round of action in Serie A as Round 10 takes centre stage. The action begins on Tuesday evening as Inter travel to Bergamo to play Atalanta. Napoli have completed the signing of Spanish international defender Raul Albiol from Real Madrid.The 27-year-old has signed a four-year deal with the Italian side, ending a four-year stay at the Bernabeu. Albiol is Rafael Benitez's fifth signing since taking the reins of the club following the arrivals of Dries Mertens, Rafael Cabral, Josip Radosevic and Jose Callejon. Napoli have significant cash to spend following the sale of Edinson Cavani to Paris Saint-Germain in a deal reportedly worth around 64 million euros. 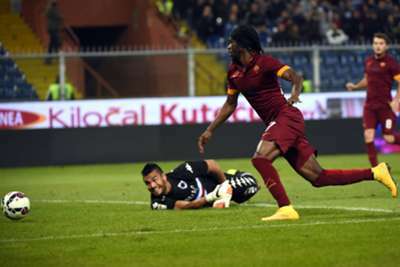 Former Arsenal forward Gervinho has admitted that he is enjoying a new lease of life at Roma where he is thrilled to be playing alongside Francesco Totti. The Ivory Coast international endured a difficult time at Arsenal but has been in a rich vein of form in the Italian capital this season since being allowed to leave the Emirates Stadium by Arsene Wenger last summer. Playing in their own ground, no club can stop AC Milan from scoring big. “Bet of the century” stature is reserved for those bets that are as good as bullet proof and because of this, they are bets that are only rolled out sporadically. We have only used this theme three times in the last 10 months and all three have been winners, at prices of 1/3, 8/11 and 23/20. This time the price in question is 5/6, with Juventus picked to win the Serie A title for the third successive season in 2013/14. 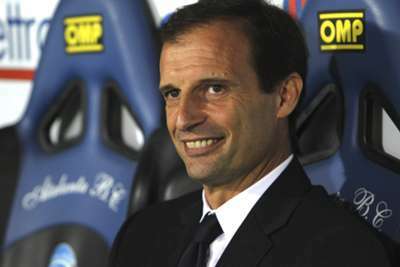 Juventus coach Massimiliano Allegri insists his team will stay upbeat ahead of Sunday’s top-of-the-table Serie A clash against Roma. Napoli coach Rafael Benitez expects Roma to have the upper hand when the two sides meet in Wednesday morning's Coppa Italia semi-final, first leg in Rome. The Naples side goes into the match at the Stadio Olimpico on the back of last weekend's 3-0 defeat at Atalanta. Napoli coach Rafa Benitez believes that the Azzurri have changed their mentality since the arrival of himself and the club’s new signings this summer. The 53-year-old tactician joined the Partenopei this summer as a replacement for Walter Mazzarri, and he was joined at the club by the likes of Gonzalo Higuain and Jose Callejon from Real Madrid. AC Milan chief executive Adriano Galliani has hailed Mario Balotelli as a 'bargain', with the striker having impressed since his return to the San Siro. Italy international Balotelli netted 12 goals in 13 Serie A appearances following his arrival from Manchester City in January and is expected to be a major player when the Rossoneri start the new season. "He is a top star, even if he was often a reserve at Inter and Manchester City," Galliani said. 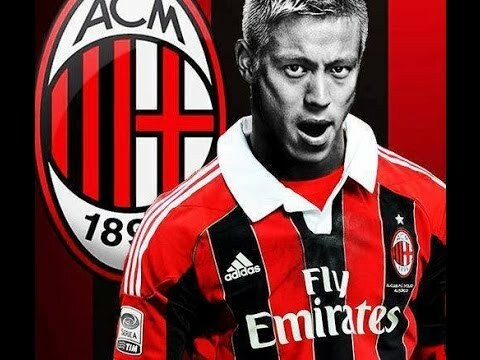 "When he arrived at Milan I told him to continue being a star, but a starting one. Juventus can virtually secure a third consecutive Serie A title with victory over lowly Sassuolo on Monday. With four games remaining, Antonio Conte’s Juve are eight points clear of rivals Roma at the summit after Saturday’s 1-0 victory over Bologna, their third on the bounce. Juventus head coach Antonio Conte has threatened to enforce month-long bans on substituted players who shrug sitting on the bench. Conte has introduced the rule to his players after midfielder Andrea Pirlo walked straight up the tunnel after being withdrawn from the field in Juventus' 2-1 win over Hellas Verona on Sunday. Roma are hoping to tie up a deal for Arsenal forward Gervinho within the coming days after it was reported that officials from the Italian club would arrive in London on Wednesday. Italian website Tutto Mercato reports that representatives from both clubs will meet in order to try and agree terms on a deal that would see the Ivorian forward reunited with former manager Rudi Garcia. Former Inter and AC Milan coach Leonardo has no regrets after his short stints coaching the Serie A powerhouses. 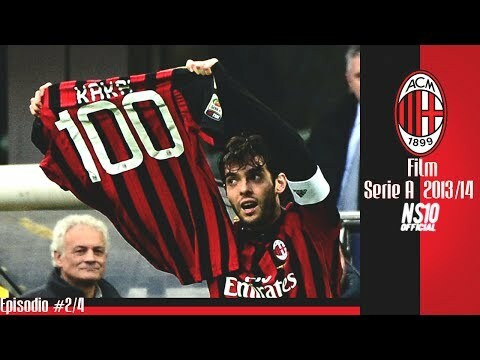 The Brazilian, 44, was handed the reins at Milan in 2009 for his first mentoring role, but would last just one season before hopping to rivals Inter, and seeing out only one Serie A campaign there too. Roma coach Rudi Garcia has insisted Sunday's top-of-the-table clash with Juventus will not define the Serie A title race. Unbeaten Roma travel to Turin in second place in the table, having slipped five points behind leaders Juve after the reigning champions reeled off nine straight league wins before the mid-campaign break. Inter Milan edged closer to an expected takeover by Indonesian businessman Erick Thohir on Thursday when Massimo Moratti returned from talks in Paris admitting his time as president may soon be over. Palermo defender Ezequiel Munoz has calmed reports stating he is set to leave the Rosanero this summer. 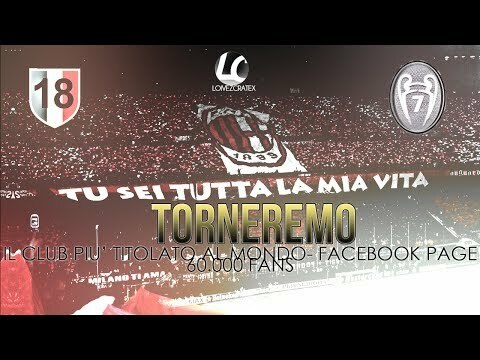 The Rosanero were relegated to Serie B at the end of the 2012-13 season and the 22-year-old has been linked with a move away from the Sicilian club during the transfer window, but he insists otherwise. Munoz spoke at a press conference about his desire to remain with Palermo and help them fight their way back to Serie A.
Inter director Marco Fassone confirmed on Monday that the Italian club are interested in signing Chelsea striker Fernando Torres. With Chelsea manager Jose Mourinho reportedly keen on bringing Atletico Madrid striker Diego Costa to Stamford Bridge next season, Torres is widely expected to leave the London-based Premier League club. Milan will be hoping the new year brings a change in fortune when they host Atalanta on Monday in both sides' first game of 2014. Coach Massimiliano Allegri has come under increasing pressure with his side sitting 13th in Serie A, just five points clear of the relegation zone, following a dismal run of one win in nine league games. Russia national team coach Fabio Capello has revealed that he has no desire to take over for Cesare Prandelli as Italy boss once the former Fiorentina boss leaves his post. There has been much speculation regarding who could replace Prandelli after the 2014 World Cup in Brazil and the former England coach is just one of several coaches to be linked with the position. Roman eyes will not be on Wembley this weekend. While the rest of Europe looks forward to Saturday’s Champions League showpiece between Bayern Munich and Borussia Dortmund in London, residents of the Italian capital have a cup final of their own to worry about. Less than 24 hours after Germany’s finest square off on foreign soil, Rome’s two biggest clubs will resume hostilities at their shared Stadio Olimpico home. Napoli coach Rafael Benitez conceded his team still lack the consistency required to challenge for the Serie A title. Parma trumped Napoli 1-0 on Sunday thanks to Marco Parolo’s fine strike from the edge of the area in the 55th minute, which left Benitez’s team on 64 points in third, 12 behind second-placed Roma. Fierce rivals Inter and Milan meet for the first time this season with both sides in need of a win. Inter head into the game on the back of a poor run of form, which has seen them fall off the pace in the battle for UEFA Champions League qualification. Only three players in Serie A created more clear cut chances than Stevan Jovetic last season and there is real reason to believe that the capture of Mario Gomez makes Fiorentina appealing outsiders at 18/1 to be crowned Italian champions in the upcoming campaign. Dejan Stankovic has admitted that he has thoroughly enjoyed his time at Inter Milan after having his contract with the Serie A giants cancelled by mutual consent. The 34-year-old Serbia international moved to Inter from Lazio in 2004 and won five Serie A titles and the Champions League during his time at the San Siro.He made more than 100 international appearances before announcing his retirement in 2011 and featured in 231 matches during his nine-year spell with Inter, who are 11.00 to win the 2013-14 Serie A title while AC Milan can be backed at 5.00 and Juventus at 1.72. Cagliari have sacked coach Diego Lopez following the club’s 3-1 home defeat to Roma on Sunday. Juventus will look to further cement their place at the top of Serie A as they face an out of form Atalanta side on Sunday. Antonio Conte's men travel to the Stadio Atleti Azzurri d'Italia in fine form having won their past eight league games. Mario Gomez has set his sights on silverware after completing his move to Fiorentina from European champions Bayern Munich. The Germany international striker has signed a four-year contract with La Viola, having ended a four-year association with Bayern. Gomez, 28, said on his arrival in Florence: "I am curious about taking on a new challenge after winning everything there was to win with Bayern.